Austin Lyft drivers teamed up raise funds and awareness for AIDS Walk Austin through the Lyft Austin Weird Facebook community and RideCares. 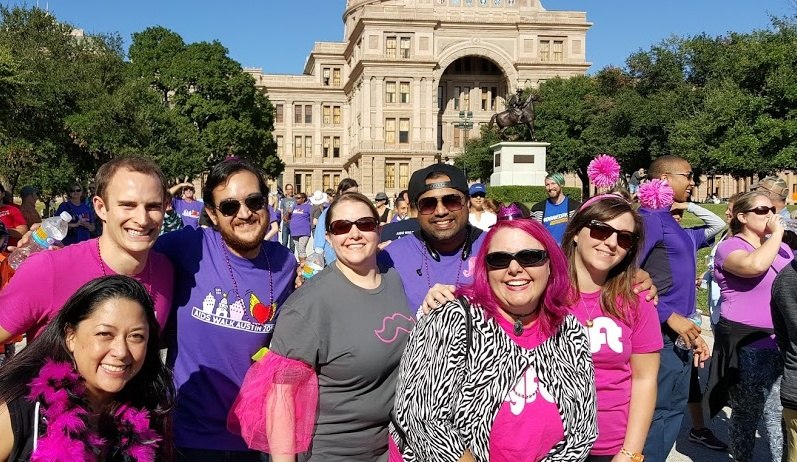 Together, our team Lyft Austin Weird raised over $4,000 and finished as a top ten fundraising team. The walk as a whole raised over $220,000 for AIDS services in Austin. Wow! Thanks for all your support! RideCares drivers raised $949.08 in pledged tips from 869 supporters. Skylar led the team in fundraising, while Nicole racked up the most passenger supporters. Y'all made me proud to be part of such a wonderful Lyft Austin Weird Team!